Who benefits from a total hip replacement? Hip pain associated with weight bearing, limiting activities of daily living. Stiffness in a hip limiting your ability to move or lift your leg. Little pain relief from pain killers and anti-inflammatory drugs or glucosamine. Harmful or unpleasant side effects from pain medications. Other treatments such as physical therapy or the use of a gait aid such as a walking stick don't relieve hip pain. What are the implants used? 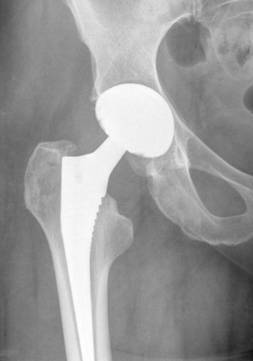 Many different types of designs and materials are currently used in artificial hip joints. All of them consist of two basic components: the ball component (made of a highly polished strong metal or ceramic material) and the socket component (a durable cup of plastic, ceramic or metal, which may have an outer metal shell). Special surgical cement may be used to fill the gap between the prosthesis and remaining natural bone to secure the artificial joint. An uncemented prosthesis has also been developed which is used most often in younger, more active patients with strong bone. The prosthesis may be coated with textured metal or a special bone-like substance, which allows bone to grow into the prosthesis. A combination of a cemented ball and a uncemented socket may be used. 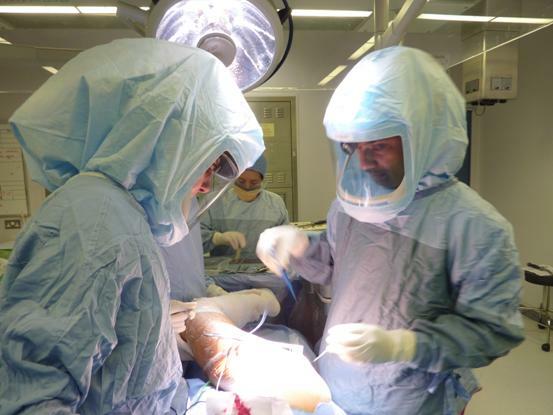 Your orthopaedic surgeon will choose the type of prosthesis that best meets your needs. After surgery, you will be moved to the recovery room where you will remain for one to two hours while your recovery from anaesthesia is monitored. After your return to the ward, once your general condition permits, you will be mobilised around the bed. The same evening or next day, you will have a practice on stair climbing supervised by a physiotherapist. Once your general condition is satisfactory and mobilisation is adequate, you will be discharged home. Over the past several years, orthopaedic surgeons have been developing newer surgical technique, for inserting total hip replacements through smaller incisions without causing much damage to the muscles. It is hoped that this may allow for quicker, less painful recovery and more rapid return to normal activities, in addition to the cosmetic benefit. Minimally invasive and small incision total hip replacement surgery is a rapidly evolving area. While certain techniques have proven to be safe, others may be associated with an increased risk of complications. In a suitable patient, single mini-incision posterior approach has been shown to be effective with better pain relief, faster rehabilitation, better cosmetic appearance and improved patient experience, with no significant increased complications. NICE NICE recently issued revised guidance on the minimally invasive hip surgery. You will usually stay in the hospital for a few days. After surgery, you will feel pain in your hip. Special attention is given to pain relief to make your post-operative experience as comfortable as possible. In general, most patients can expect to be discharged about 4 days following surgery. Walking and light activity are important to your recovery and will begin the day of your surgery. The physiotherapist will teach you specific exercises to strengthen your hip and restore movement for walking and other normal daily activities. 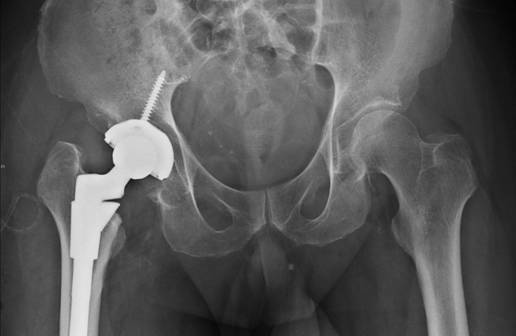 The complication rate following hip replacement surgery is low. Serious complications, such as joint infection, occur in less than 2 percent of patients. Blood clots in the leg veins or pelvis are the most common complication of hip replacement surgery. Routine measures including blood thinning medication is administered in all patients, often extended for a few days after surgery. Other measures may include special stockings, inflatable leg coverings and ankle pump exercises. These measures help to prevent blood clots from forming in your leg veins or becoming symptomatic. Leg-length inequality may occur or may become or seem worse after a hip replacement. 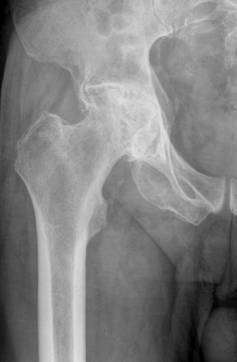 Some hip conditions are associated with marked leg shortening due to bone loss/deformity around the hip. With careful pre-operative planning and attention to detail, it is often possible to achieve leg length equality following surgery. This will be taken this into account, in addition to other issues, such as the stability and biomechanics of the hip in most cases. Other complications such as dislocation, nerve and blood vessel injury, bleeding, fracture and stiffness can occur. In a small number of patients, some pain can continue, or new pain can occur after surgery. Over years, the hip prosthesis may wear out or loosen. This problem will likely be less common with newer materials and techniques. Following surgery, you may be asked to avoid specific positions of the joint that could lead to dislocation.